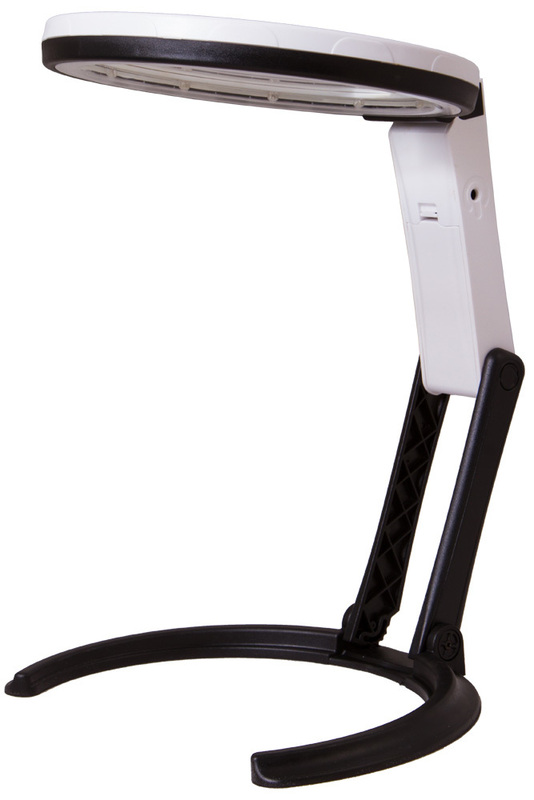 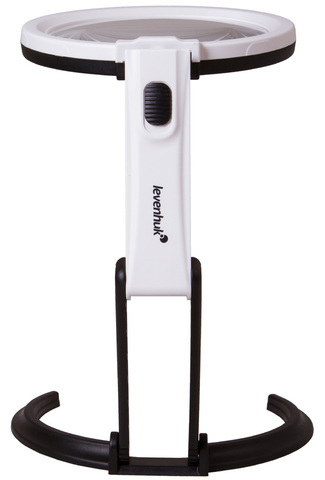 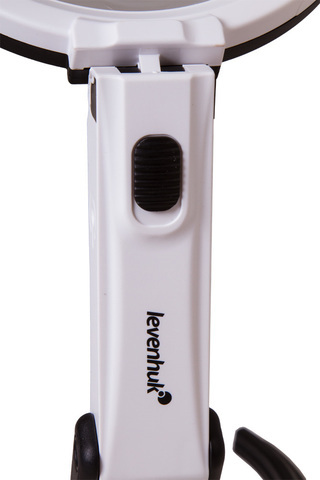 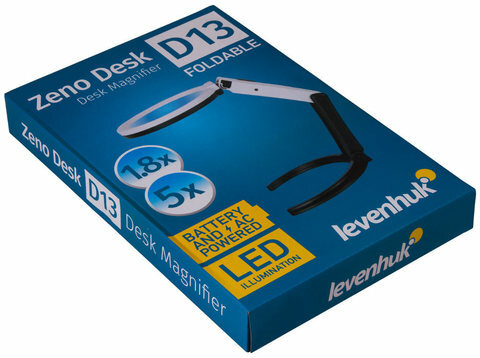 Levenhuk Zeno Desk D13 is a bifocal lens on a foldable neck that transforms easily from a desk model into a handheld magnifier. 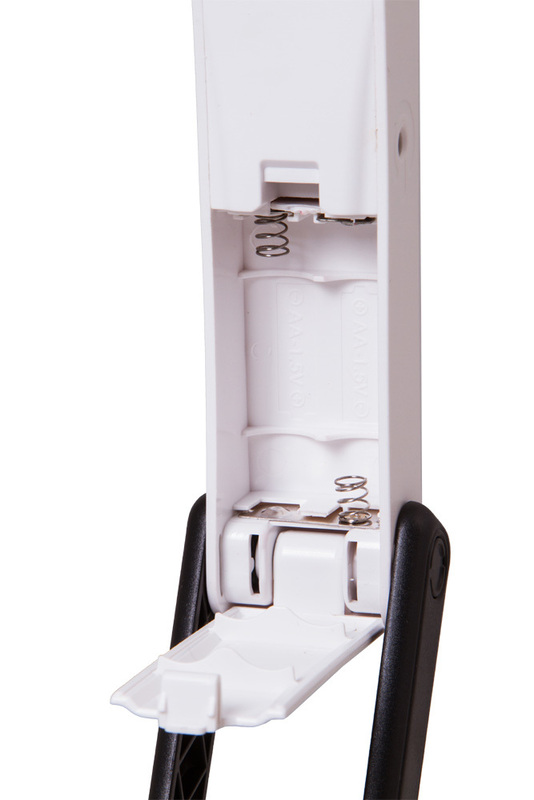 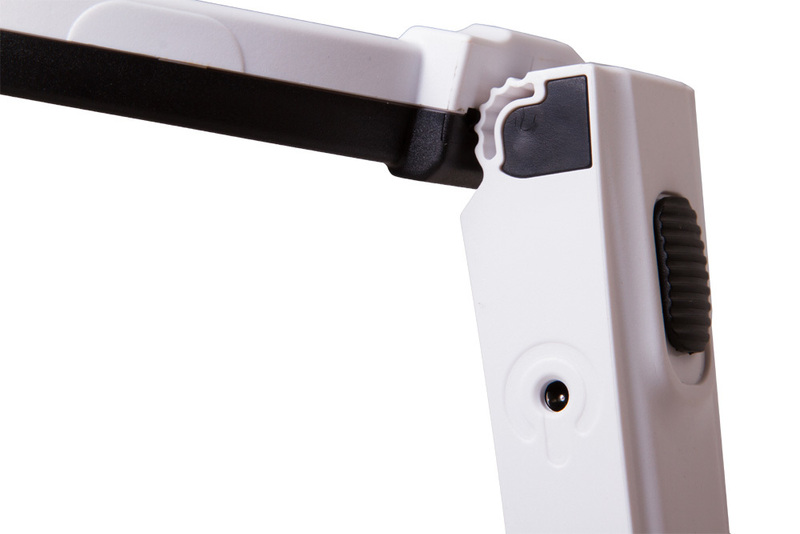 You can conveniently use this tool at home, at the office or on a trip. 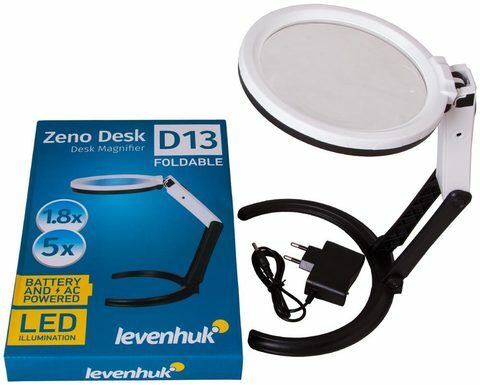 Because of its built-in LED illumination, Levenhuk Zeno Desk D13 Magnifier is great for working even under poor light conditions. 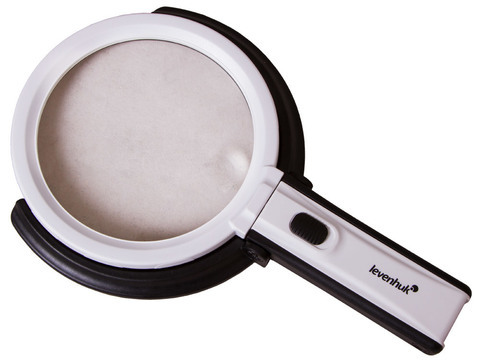 The larger lens allows working with extended objects, which makes it comfortable for reading, needlework, handicrafts, modeling, microchip repair or soldering. Twelve built-in light diodes evenly illuminate the field of view, so you can do high-precision work even in full darkness. 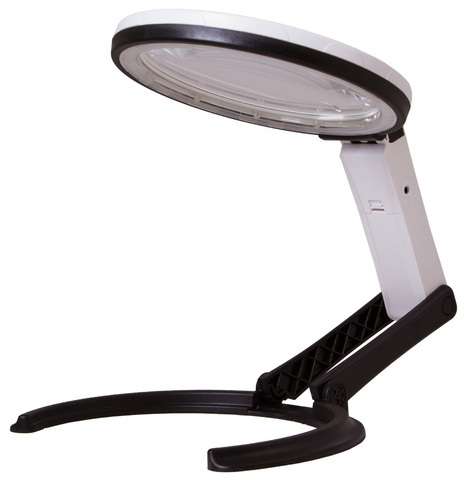 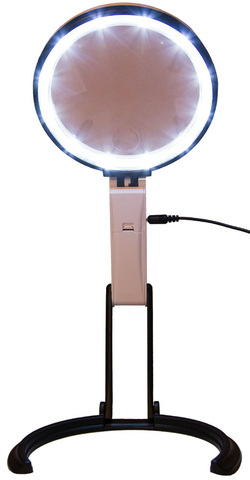 The illumination is powered by an A/C adapter or two AA batteries.